Their Staff made a billing error and unwilling to resolve it with me over the phone. I hade to call myinsurance company to resolve it, took me several hours to get everything straight out. Their Staff made a billing error and unwilling to resolve it with me over the phone. I hade to call my insurance company to resolve it, took me several hours toget everything straight out. This doctor was excellent! I was listened to and made to feel comfortable and cared for. From the time I wasin the exam room to checkout I was done in about 35 minutes! All my prescriptions were handled and sent over to the pharmacy without any problems! This doctor was excellent! I was listened to and made to feel comfortable and cared for. From the time I was in the exam room to checkout I was done inabout 35 minutes! All my prescriptions were handled and sent over to the pharmacy without any problems! Went for a specific item and was told that they didn’t do it. Kind of frustrating. Very old school. The nurse didn’t read my paper and asked me the same questions. I feel bad. My appointment with her NP, Dharika, went perfectly fine. However, I am extremely put off by both the excessive paperwork at the beginning and by the pervasive advertising for weight loss supplements within every room of the practice. Thisprobably motivates a fair amount of patients, but it also definitely makes some patients feel judged and feel as if our unrelated medical concerns might be ignored here. Again, I should make clear that Dharika was great with me, and had I been able to afford another appointment, she recognized other concerns of mine that she could help with. However, in this app, I don't think you can guarantee whom you will see, and so I can't recommend the practice. They are always super friendly and listen to all my questions and concerns nurses have very caring ways. Loved the whole staff, all very lovely people. Very impressed. Intelligent, pleasant, good bedside manner, professional, thorough. Everything I've been looking for in a doctor. And I'm being 100% honest. I find Dr Bommasani to be very thorough. She also takes the time to answer all of my questions without making me feel rushed. I am very impressed with the staff there as well. From the receptionist to the nurses everyone is very professional and friendly. 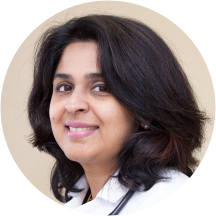 Dr. Bommasani was very professional, took her time, asked a lot of pertinent questions, and helped me to understand what was going on and how to treat my symptoms. I will visit her again the next time I need immediate medical care. Dr. Bommasani and her entire staff are fabulous!! I was a first time patient and they got me in right away. I highly recommend her as a Primary Care Physician, really wish there were more like her out there. Fantastic!! The entire staff was great! We were both seen very quickly. They were extremely helpful. Will recommend and use again!